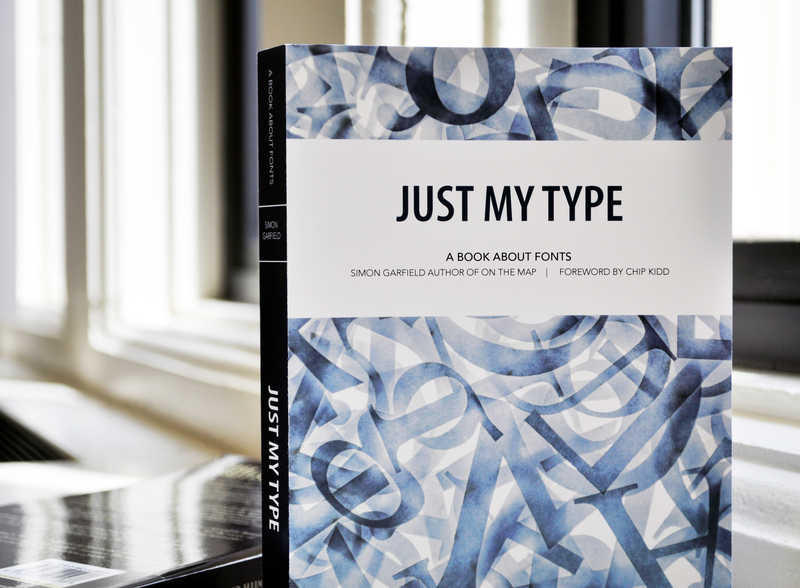 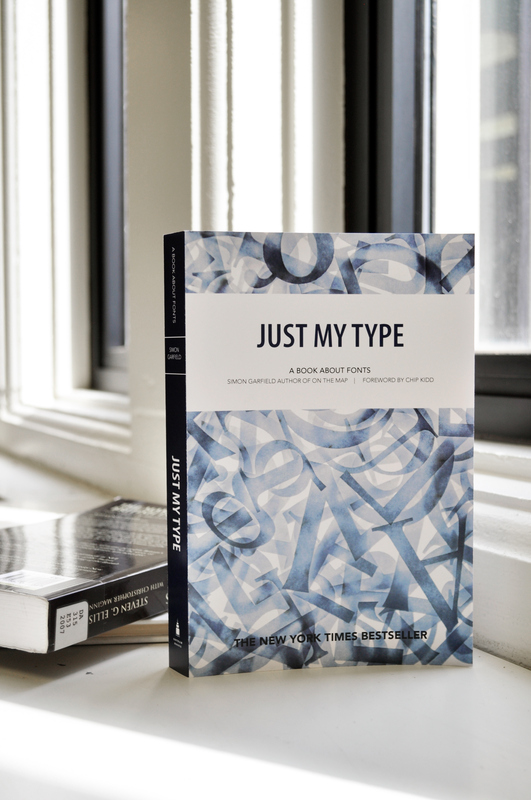 After reading this book, I re-designed the cover for "Just My Type", written by Simon Garfield. 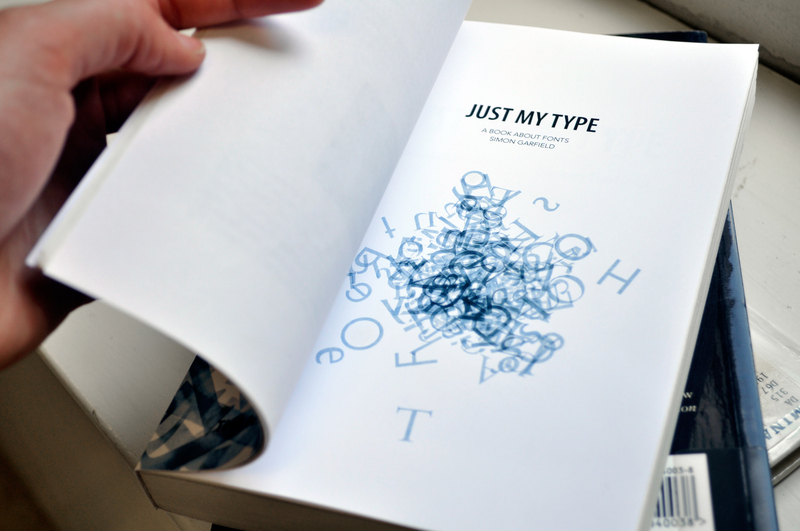 The text from the intro page was typed in all the different typefaces discussed throughout the book and then laser cut. 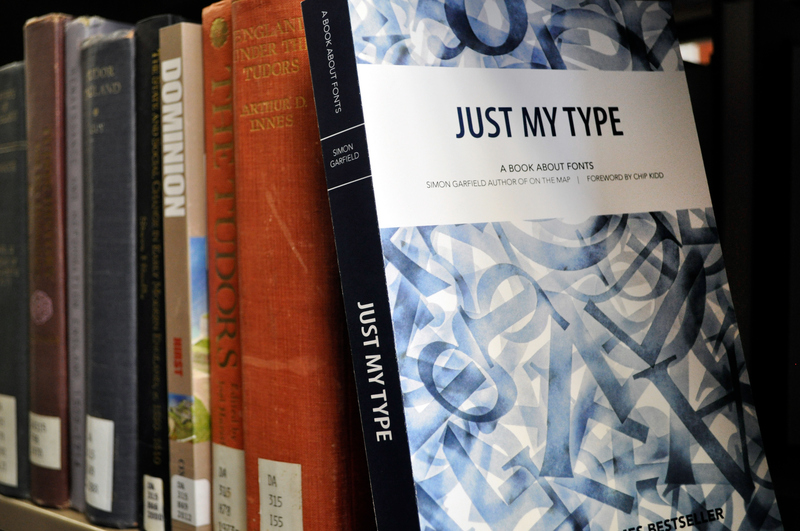 By illuminating the letters from underneath, I photographed intriguing images of the letters which were then used as backgrounds to my re-designed cover. 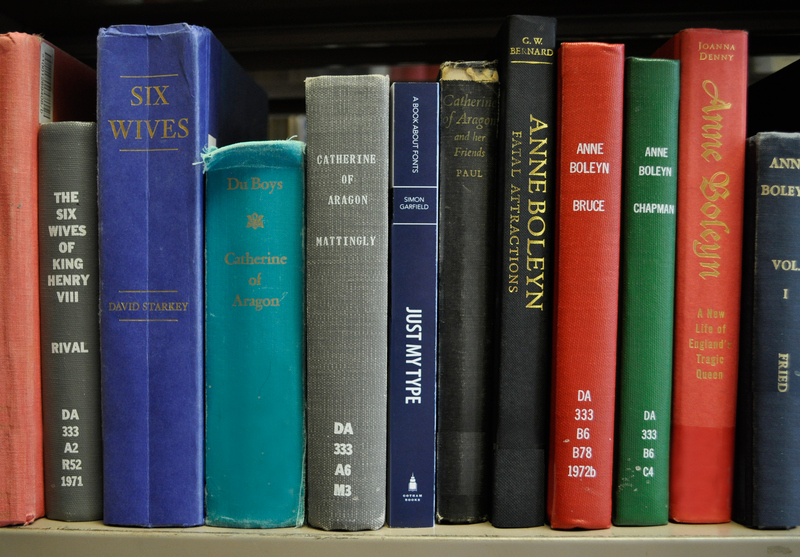 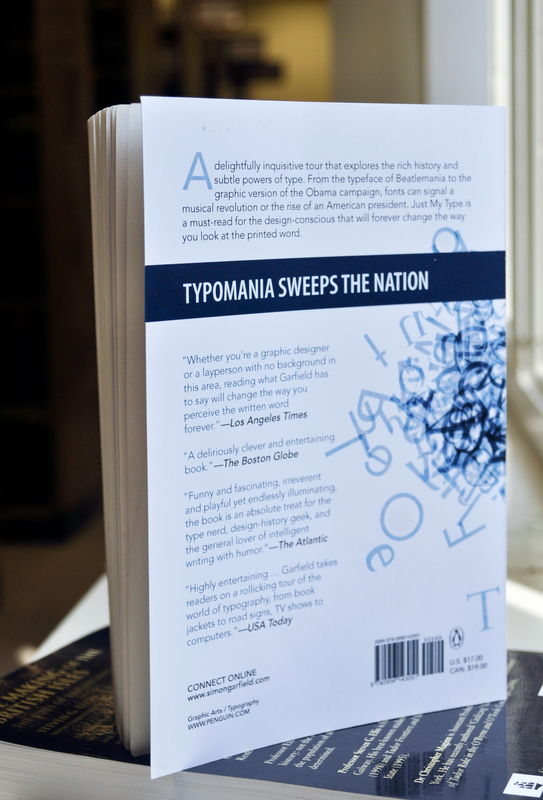 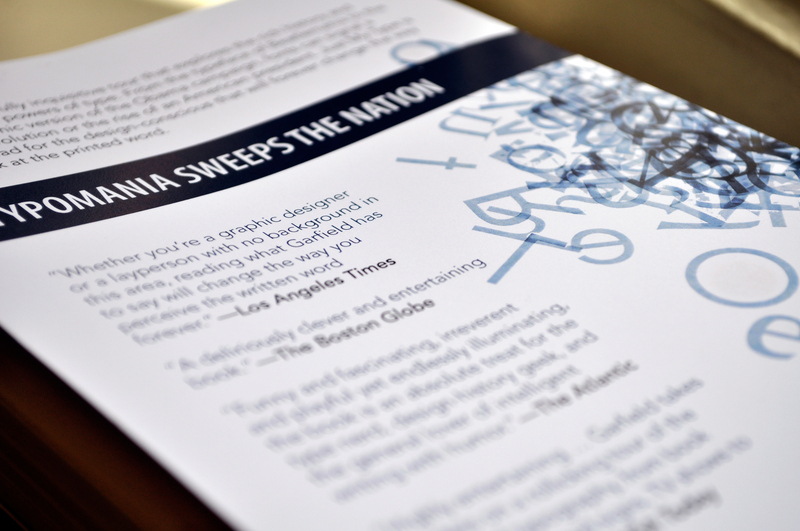 Foreshadowing of the book's content was accomplished by using imagery of different typefaces, serifs, and details of the letter forms.